Anyway, as for the story content of Box 24, it continues to tell the story of the Fourth Great Shinobi War between the allied shinobi force and the Akatsuki, who have created an army of reanimated ninja from the recent and distant past to fight for them. 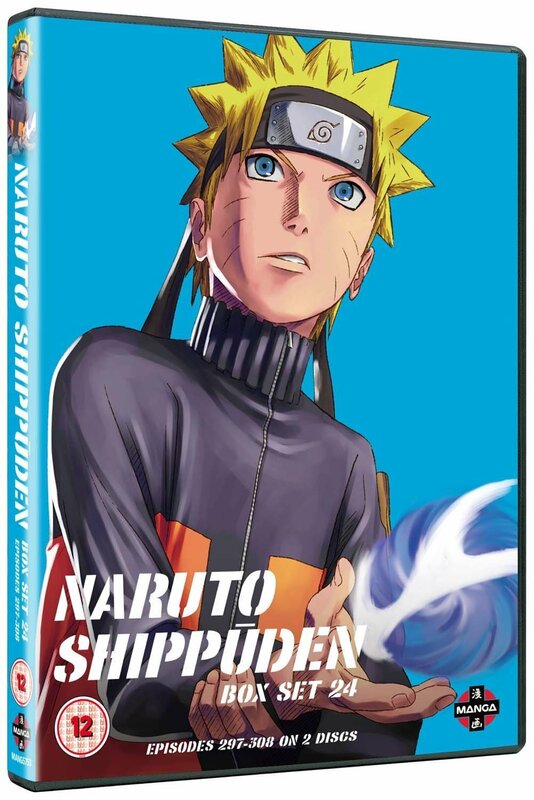 The first six episodes see Gaara, the leader of the Hidden Sand village (or Kazekage) confront his father, the former leader, and finally learn the truth about his mother and general upbringing. It’s a good bit of character development for a character that has been pretty dull for a long time now. It then switches to Naruto and Killer B who end up in a fight with Sasuke’s brother Itachi and the former controller of Pain, Nagato, both under the Akatsuki’s reanimation jutsu. 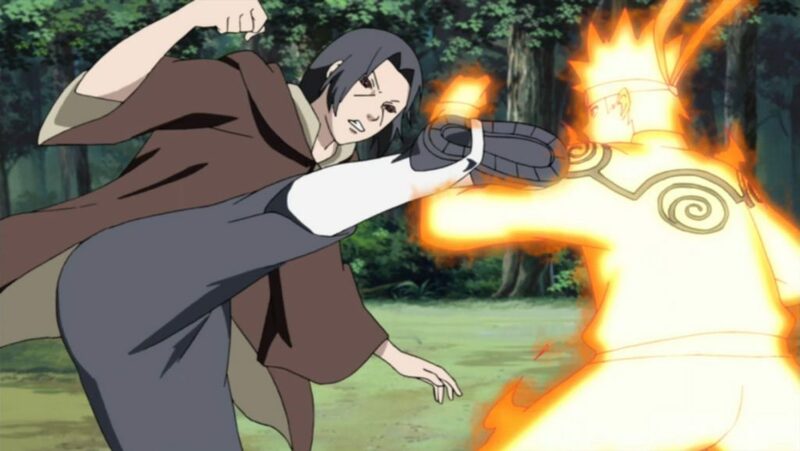 The fight is a good one (though I will say Nagato seems under powered compared to how we saw him when he was the lead villain a few story arcs ago) and it leads Itachi down a good emotional path (and a tantalising cliffhanger for him that will get resolved later down the road). We then get some action between Gaara and the Tsuchikage (leader of the Hidden Stone Village) battle several long-dead village leaders and try to seal their bodies. It contains some fun, large-scale powers being displayed due to the rank these newly introduced characters have. We then get to the filler part of the set. This time it revolves around the resurrection of the “Sound Four”, the four (technically five) ninjas who were Orochimaru’s henchmen during the good majority of the original Naruto series. They were left out of the big reunion that is this arc in the manga (although aspects of them do appear later…), so as far as ideas for filler, this was a good one. It ends up dealing with a new jutsu that traps peoples souls away from their body and keeps them there until they die, and its all based of the thrust for revenge. Although Naruto does come to the rescue, the three episodes do heavily feature other characters from the good guy side that are sometimes left out of the limelight. The last three episodes of filler are a harmless flashback by Hinata and a story about Hayate Gekko being resurrected and controlled to attack the allied army, only to come up against his old love Yugao. A bit of the old “will love conquer a spell tying a resurrected soul to his immortal body” story. So, overall it’s once again a mixed bag. The first six episodes offer some well presented battles between established characters and some new, powerful ones. There is also some good character development thrown in. The latter six starts off okay, then gets into really basic filler. That being said, the last set was all filler minus the last episode, so in that sense this is a big improvement!